This has been an exciting garden year for me. So many things come to mind that I want to share with you about what can be done and how you might go about it. 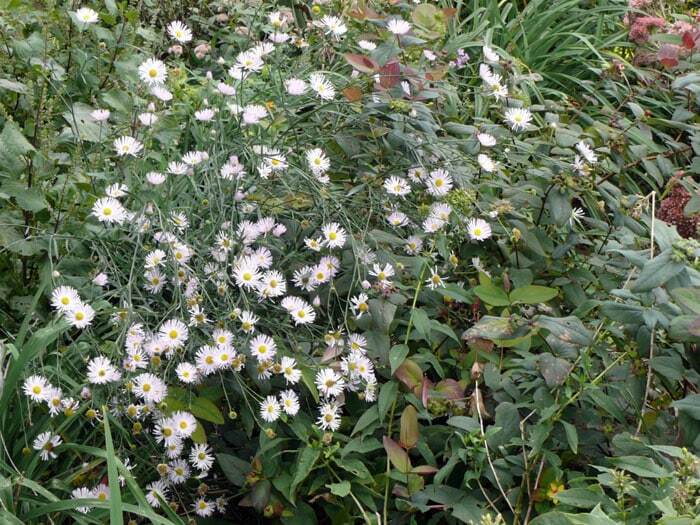 I want to give you some new ideas for improving your soil this fall; some easy ways to stay away from residual herbicides; and a great way to grow some plants that you might not otherwise be able to grow. All those are coming up. So stay tuned in so you won’t miss anything. I hope your harvest has been bountiful and your garden is still going strong. Hopefully you’ve found time to get your fall and winter crops in and with much success. All of us have so much to do, but please take time to enjoy and look at the fruits of your labor in spite of your work load. My borders have been neglected. But there’s still some nice things going on. Bill’s photos give me an even greater appreciation for what’s out there. I thought you’d enjoy seeing some of the bloom in my September borders while I’m finishing the posts I’m working on for you. I appreciate your reading TMG and trust you are benefiting from it. Big and small are welcome in my gardens. Note the little bee still in flight to the right. A friend gave me the seeds for this lipstick plant many years ago. 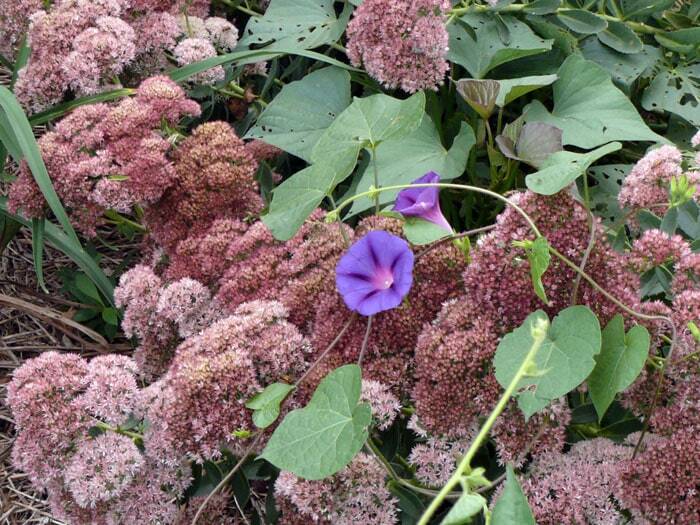 It is very invasive and I spend a little time each year pulling up tons of it that reseeds. But it’s so beautiful as it sprawls across the sedums, mums, and opal basil unchecked that I can’t bear to get rid of it all. This “knock-out- like” rose is spent, but still lovely. 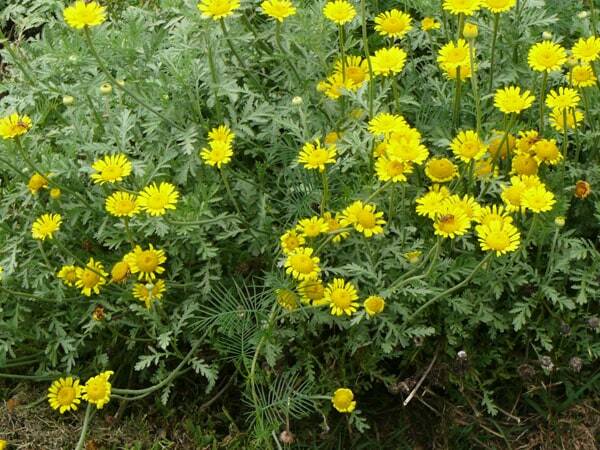 This marguerite, planted in the spring, is one of the best perennials for drawing beneficials. It’s been blooming since early summer. 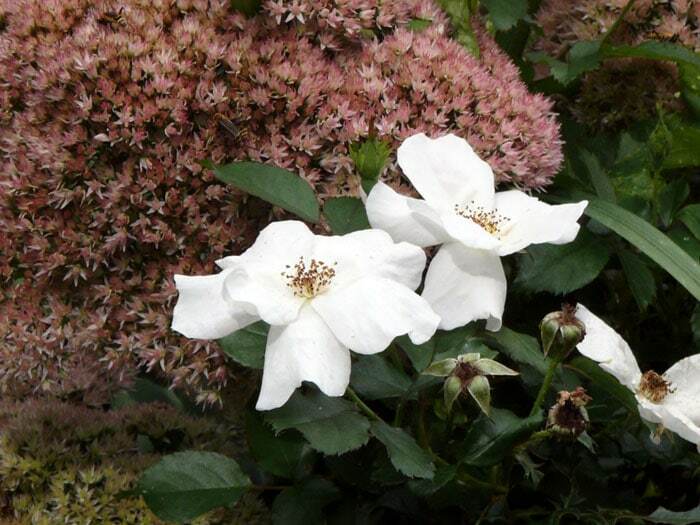 I have just reintroduced this pink boltonia into my borders. 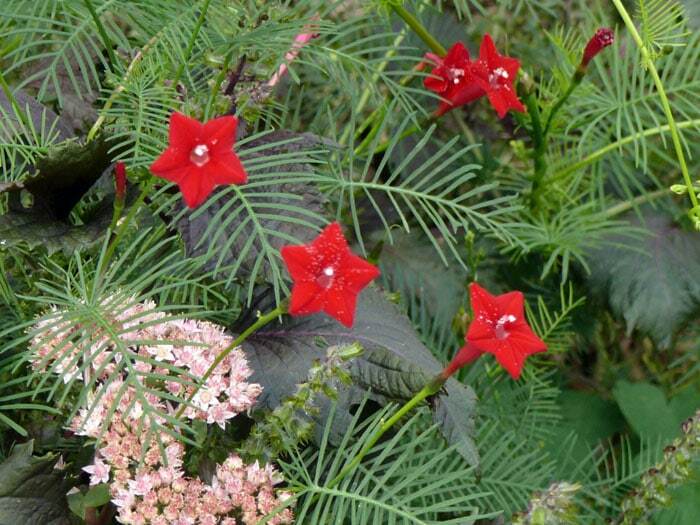 It’s a perennial that adds thousands of flowers to your late summer and fall border. 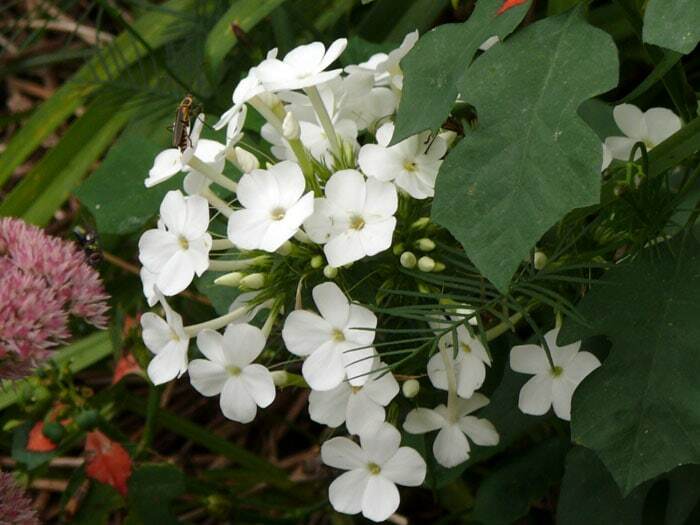 Phlox can be invasive, but it’s so beautiful – I would hate to think of late summer and fall without it. This particular phlox was given to me by a dear friends years ago. I have just recently learned that they eradicated ALL their phlox. 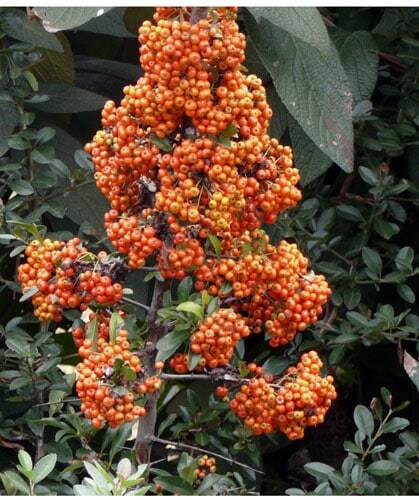 Pyracantha has lots of thorns. 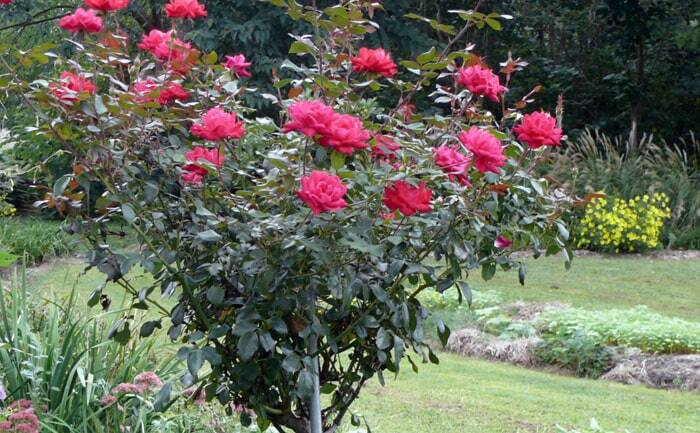 Very lovely, but hard to deal with if you have to prune. 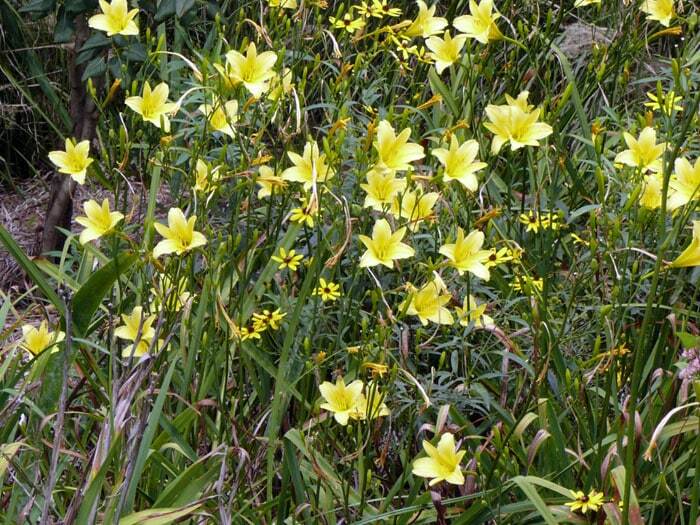 These very tall late blooming daylilies are lovely with the small coreopsis. They are just finishing their bloom in the back border, but finished 3 weeks ago in the fence border. 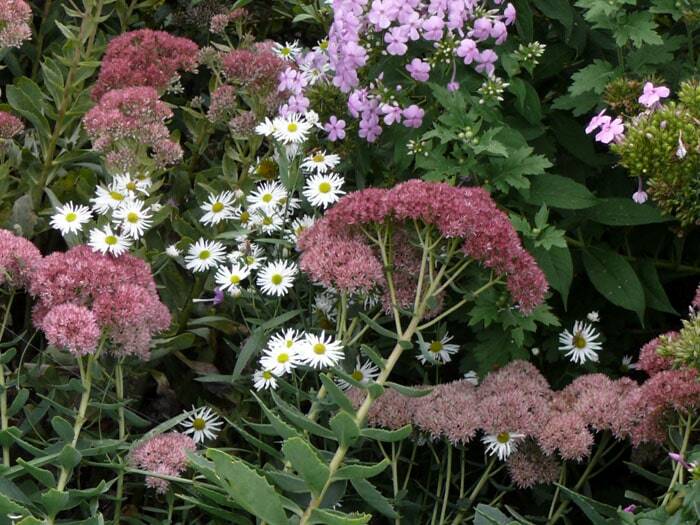 Sedums, white boltonia and pink phlox in the garden. 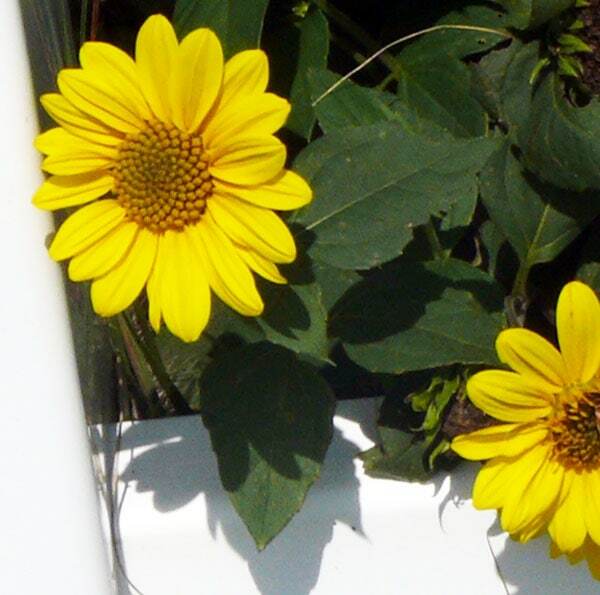 Newly planted this spring, this heliopsis peeks out the back side of the fence border. 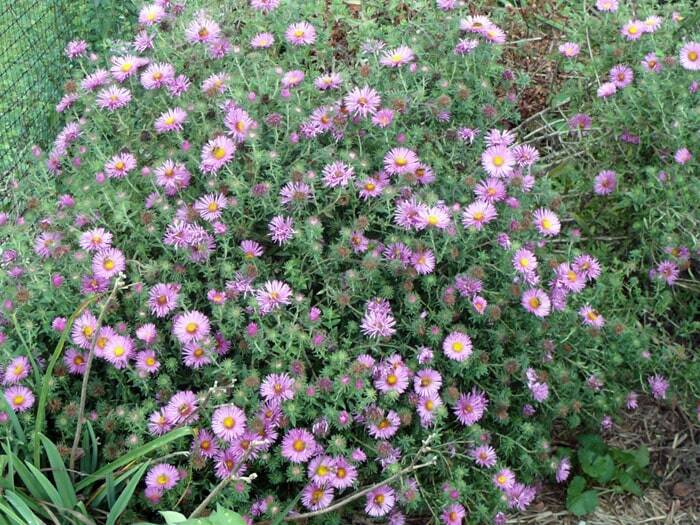 There are many varieties of New England Asters. 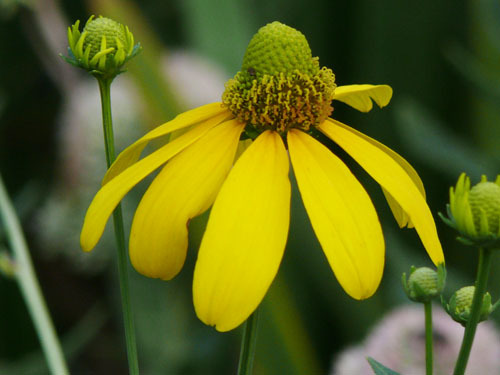 They are native to Eastern and Central United States. This one- which I intended to take out of the garden last year – still put on spectacular show even though it was dug up last fall and left on top of the ground. This spring I put it back in, but still want to move it. This tree rose was planted this spring. In the background to the right is a first year helianthus making a show in the side border. Keep on hanging in there. I sure relate to your pain. I have had a particularly difficult time moving this year and the pain has been next to unbearable. I’m slower than a turtle, but I keep on keeping on! It’s the only thing to do! You the same Betty. And thanks again!